If you love the creativity that comes with quilting, the Tempo is the machine for you. There are no limits to your fabrics or stitches, so you can always have fun. And when you’re ready to try new techniques, the Tempo will keep up. With the Baby Lock Tempo’s advanced needle thread and quick-set bobbin, I can get started on my project right away, giving me more time to share videos with you. The Baby Lock Tempo makes it so easy to get into my quilting rhythm. The Tempo takes all of the hassle out of sewing – including winding your bobbins! 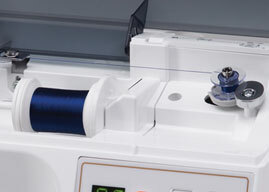 The winder seat holds the thread in place and stops automatically when the bobbin is full. 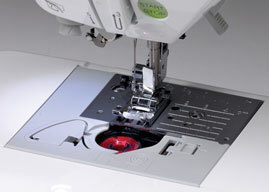 With a suite of push button features, your sewing projects have never been easier to complete. 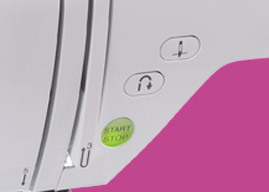 Position the needle up or down, reinforce any stitch with the reverse sewing button, or sew without a foot control using the start/stop button. 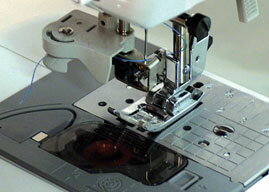 Projects such as quilting, home decor, and crafts require specialty stitches. 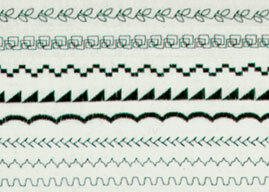 The Tempo includes dozens of built-in stitches that are perfect for the projects you choose to create. 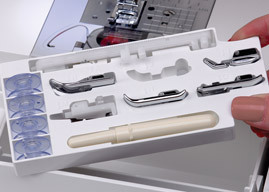 You’ll never run out of choices for new machine accessories, and now you’ll never run out of room to store them! Keep your accessories organized and at your fingertips with this built-in storage unit.